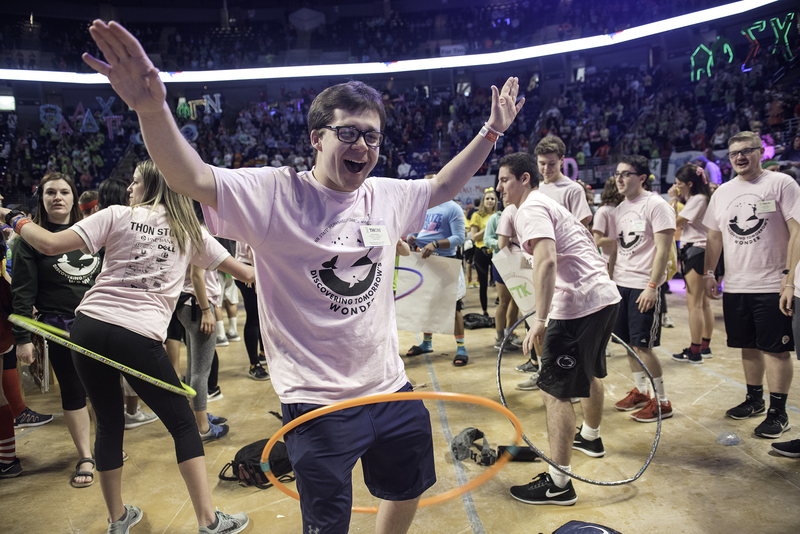 Pat McKeon, a member of Merch committee, turns a hula hoop at THON Saturday, Feb. 17, 2018, at the Bryce Jordan Center. 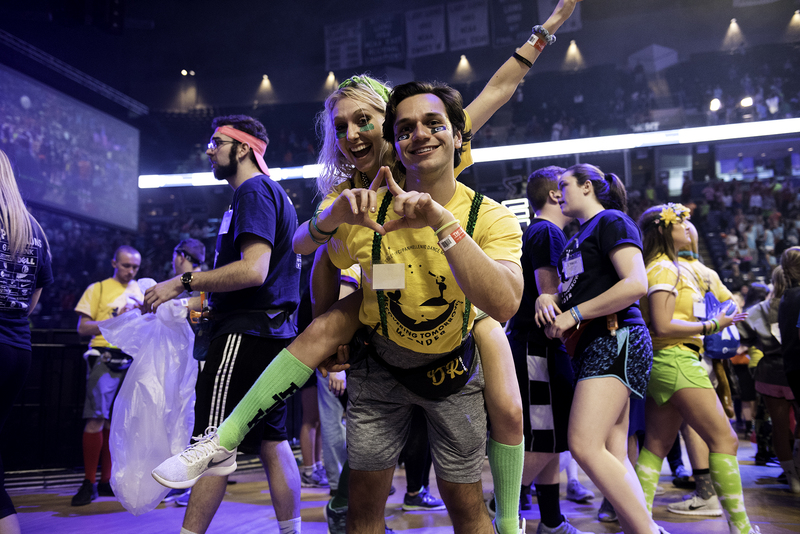 Both from Dancer Relations Committee, Ryan Salamo carries Christina Tentilucci on his back at THON Saturday, Feb. 17, 2018, at the Bryce Jordan Center. 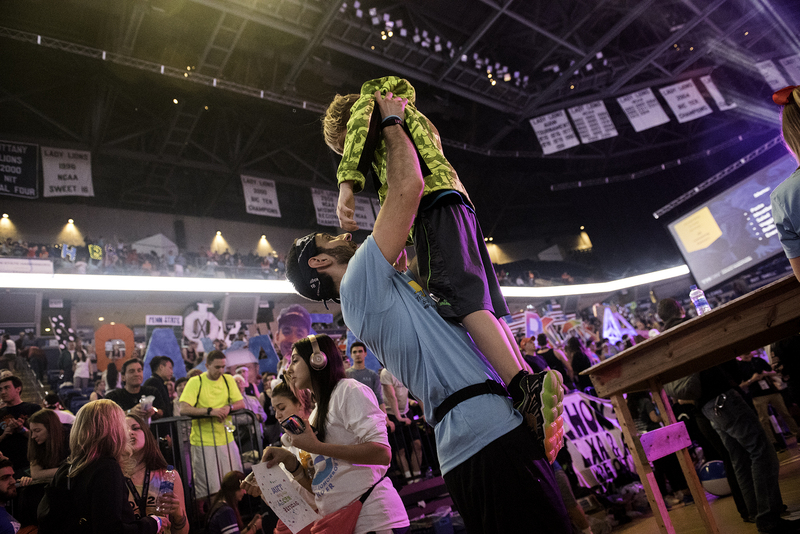 Josh Brown lifts Brayden Butler,7, comes from a Thon family at THON Saturday, Feb. 17, 2018, at the Bryce Jordan Center. 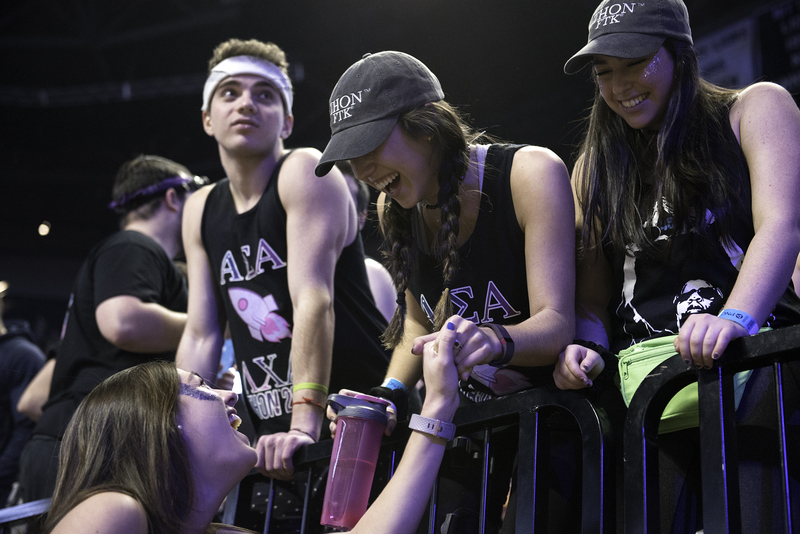 Bianca Quattrocchi, who comes from Alpha Sigma Alpha, holds her friend’s hand at THON Saturday, Feb. 17, 2018, at the Bryce Jordan Center. 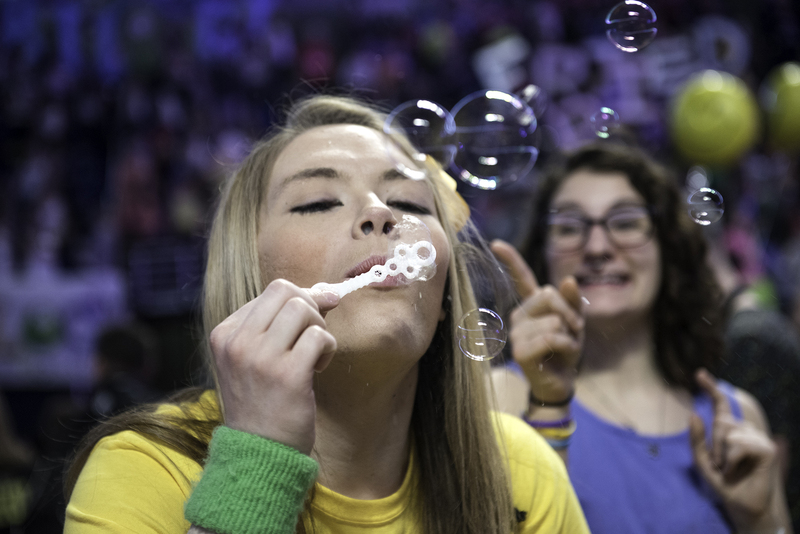 Ella Tice, a member of DRCM, blows bubbles at THON Saturday, Feb. 17, 2018, at the Bryce Jordan Center. 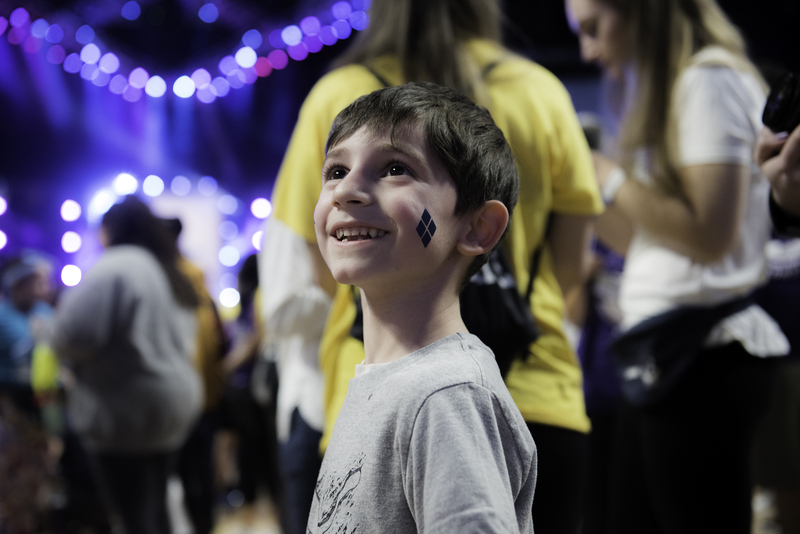 Aidan, 6, comes from a Thon family, looks at the stage at THON, Saturday, Feb. 17, 2018, at the Bryce Jordan Center. 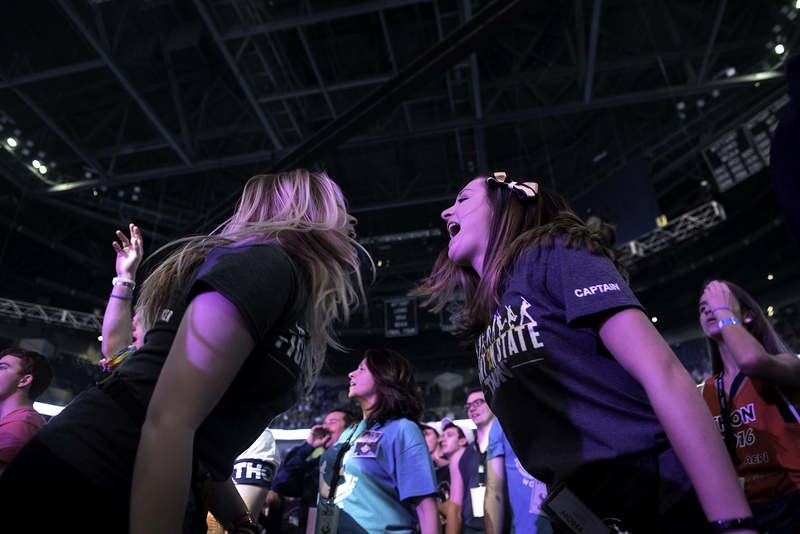 Members of Special Events Captain, Natalie Schaefer and Megan Quinley, dance together at THON Saturday, Feb. 17, 2018, at the Bryce Jordan Center. 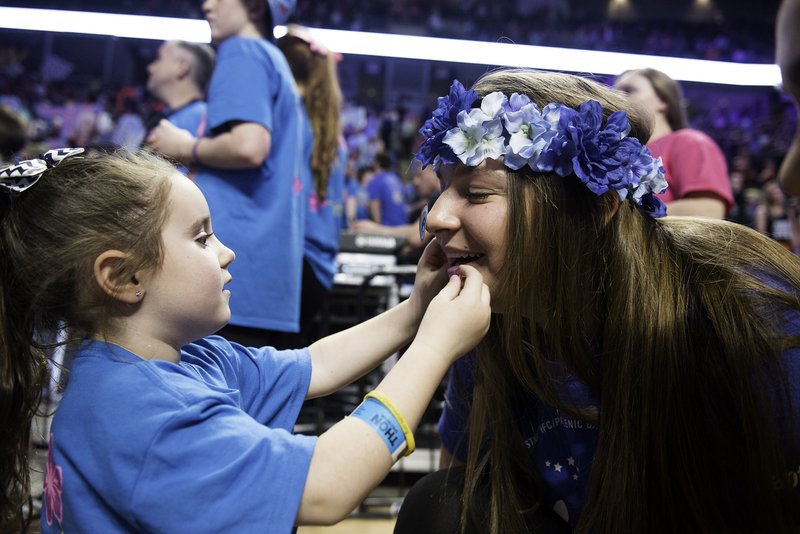 Shannon Welsh, 4, puts a sticker on Emily Dalo’s face at THON Saturday, Feb. 17, 2018, at the Bryce Jordan Center. 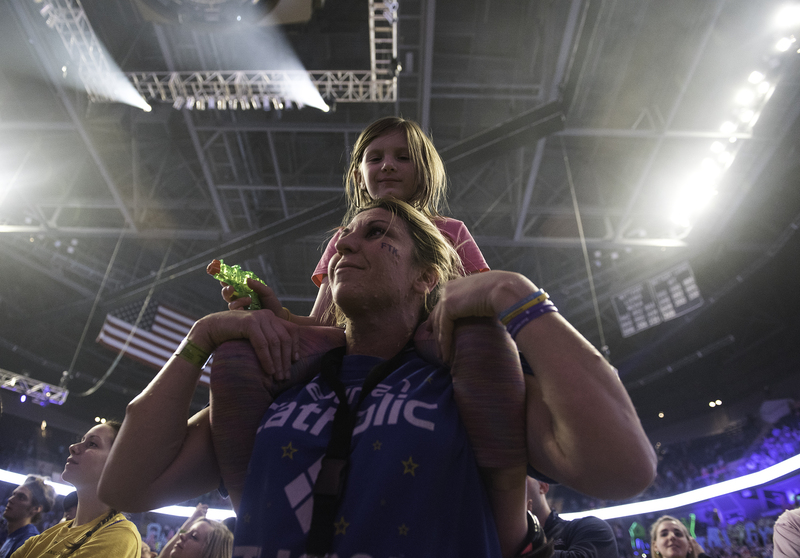 Brennan Reinertsen holds a child from a Thon family, Abby Bastain, to see the show at THON Saturday, Feb. 17, 2018, at the Bryce Jordan Center. 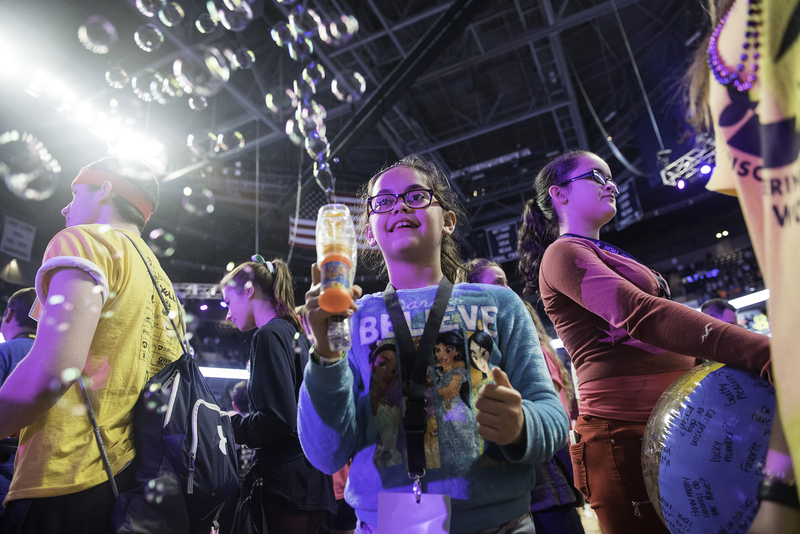 Lakyja Camacho, 9, holds a bubble gun at THON Saturday, Feb. 17, 2018, at the Bryce Jordan Center.